The Army is a brand new organization of Phlan, formed from what once was the mercenary company Raegar’s Legionaries and the various militias of religious organizations and the city, with the addition of Prince Sellent’s cavalry. Led by the Legion’s founder, General Maxim Raegar, the Army’s officer cadre is almost entirely comprised of his veterans. The Army of Phlan was officially created in DR 1381 after months of wrangling, voted unanimously in favor by the Council and sanctioned by the Prince. The faction is replacing Raegar’s Legionnaires in-game to represent them reaching their milestone goal to be recognized as the official armed forces of Phlan. Originally a mercenary company called the Axe of the North, led by Maxim Raegar, the Legion was contracted by the City in the early 1370s to serve as a deterrent to attacks from other cities and being able to support the City Watch. Much of their respect was originally based on this, as the Council realized lacking their support could become a major problem in war. 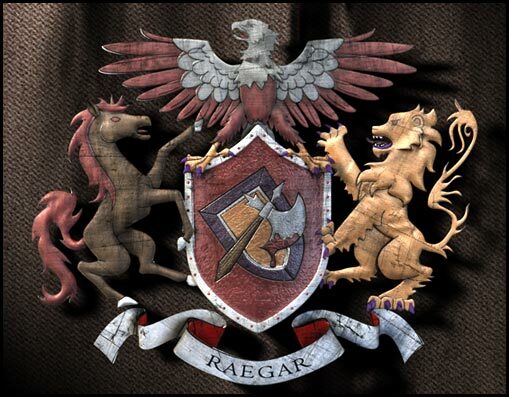 Originally a member of the Axe of the North mercenary force at the age of 20, from an impoverished but proud noble family, the last scion of the Raegars showed keen intellect and determination, as well as an exceptional talent for strategy. As he gradually rose through the ranks, he began changing the company's focus towards a strategic and elite front, rather then relying upon brute force. He assumed command of the Axe of the North Company during a border skirmish in the Thar, in which the original commander vanished, and was presumed dead. A stern commander, with a no-nonsense approach to his leadership, he takes a dim view of "wayward" soldiers, often seeing them ousted from his ranks. Now in his late 40's, Raegar maintains his physical fitness, albeit his field days are increasingly rare as the responsibilities of Army Command settle on his shoulders.